Why have an allergy test? Donna Brown, a food Intolerance specialist, became interested in natural health techniques when her own health started to deteriorate and she developed chronic fatigue. Finding conventional medicine lacking and unable to help, Donna explored a wide variety of treatments and therapies. She finally discovered the healing powers of Nutritional Medicine and undertook a food intolerance test, this showed up a number of foods she was intolerant to, as well as being deficient in various vitamins and minerals. This was the pivotal point and she decided to make health her first priority, eventually deciding to train as a food intolerance practitioner at the School of Naturopathic Nutrition, Ask Nutrition in Surrey. The school was founded by a Naturopathic Nutritionist, Fiona Gibson, one of the UK's leading nutritional therapists. 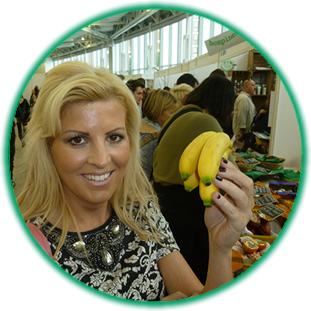 Donna then gained her diploma in food intolerance testing and clinic consultation. Having eliminated the culprit foods and supplementing her diet with amazing superfoods and raw food to receive the right balance of vitamins and minerals, her health is now fantastic. Now she is committed to helping others to obtain optimum health by healing their bodies from the inside out. She is passionate about teaching people to take responsibility for their own health and direction. Over the years Donna has built a good reputation in her city of Bath, as a motivational speaker and food intolerance practitioner. Alongside her talks, Donna runs her own business called feelgoodagain from clinics in Bath and London, at several Gyms including a personal training gym in Bristol, working with clients of all ages including athletes. Copyright �2010 Feelgoodagain Allergy Testing. All Rights Reserved.